Each box can be tailored to suit any office size. Thank you so much for, once again, pulling off a seamless delivery of fruit baskets to every Ulster Bank branch and business centre in the country! 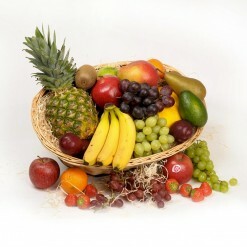 I’ve had excellent feedback, very happy staff and am being bombarded with photos of beautiful fruit baskets. 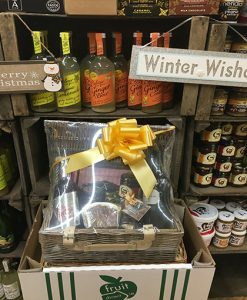 Using 35 years of retail experience in our Garden Goodness shops we are now offering a range of beautiful, bespoke gourmet food hampers and baskets. These contain high quality products at a competitive price. 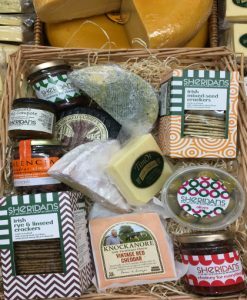 We have teamed up with local artisan food producers such as Gubbeen Farmhouse Cheese, Sheridans, Olives West Cork, Áine’s Chocolate, Larkin’s Bakery Kerry, Nibbles Bakery Millstreet Cork, West Cork Biscuits and many more! 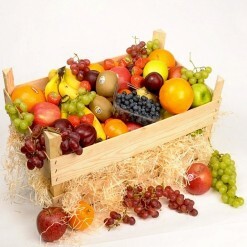 Hampers can be customised to your requirements offering a truly personal service. We have a great range of products from which to choose. Any budget can be catered for, and we can source practically any wine, beverage, or food item. 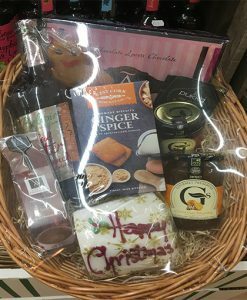 A hand-written card can be added to your hamper. 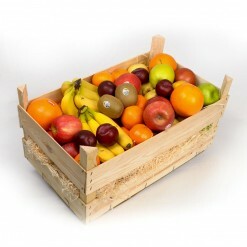 These hampers can be delivered nationwide. Also, it is possible to arrange collection from one of Garden Goodness’ shops in Wilton Shopping Centre, Douglas Court Shopping Centre, and Douglas Village Shopping Centre. 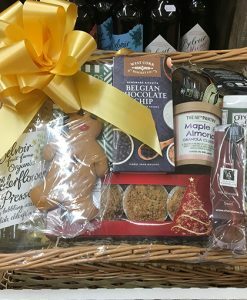 Christmas hampers, gourmet gift, bespoke hamper, fine wine, chocolate, deluxe hampers, cheese hampers, Gubbeen, Irish artisan hampers, Cork hampers. Nationwide Delivery, Delivery all areas.